I’m a car guy, not a web guy. Yes, I’ve spent the last 3 years making MyRideisMe.com and spending a huge portion of my limited free time on the computer, but it’s all been worth it. The community’s growing, sponsorship is growing and that means there’ll be more free stuff (see the freebies stories) and more content for everyone to enjoy. That said, I had to spend some time in the garage this weekend to prove to myself, I am a car guy. 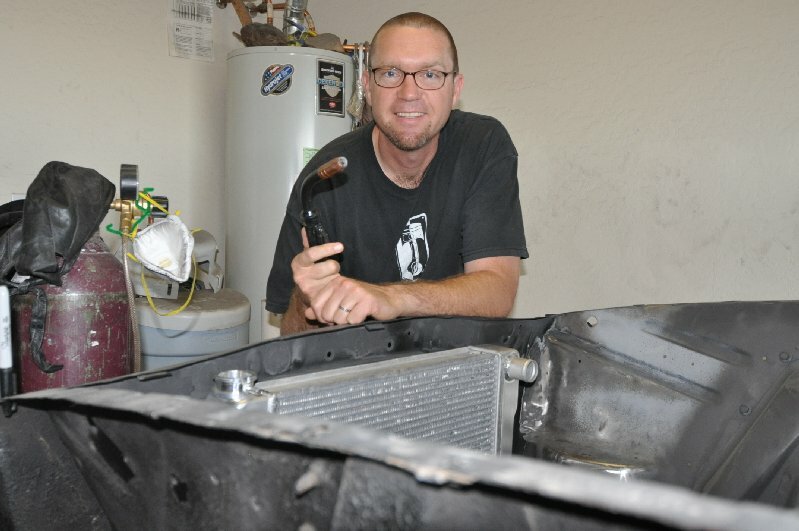 My 1963 Falcon wagon’s been neglected so that MyRideisMe.com’s not. 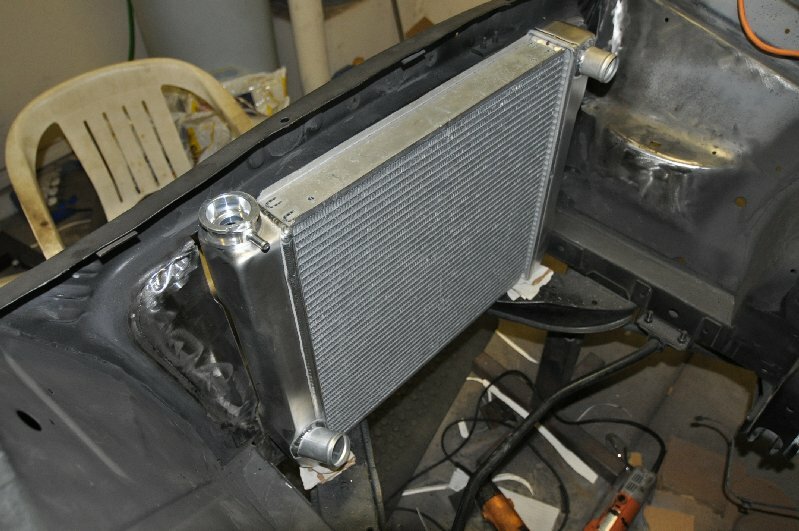 I’ve had a new radiator to put in for a while now and I have an Optima Battery to put in as well. My new yellow top’s still waiting, but at least I’ve got the radiator in! Why’d it take me so long? It was a hard day’s work, but not as bad as I thought it would be. I have this tendency to over think to the point where it keeps me from getting started. Maybe that’s how I’m wired as an engineer. I’m pretty happy with how it turned out. I had to notch the top and bottom to “sink” the radiator into the support. I’m worried about fitting a fan with the long inline 6 I’m using, so I wanted the extra 1/2″ of space. 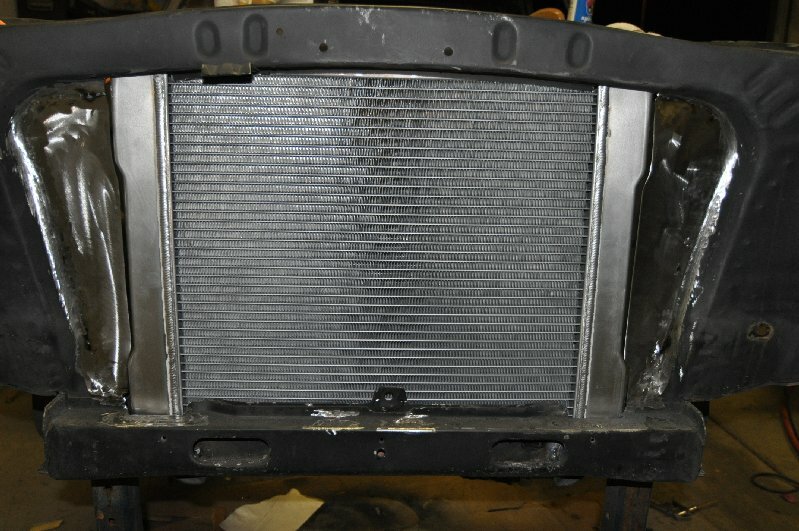 The hole that I filled was cut out for a different radiator and without much thought for how it’d look. It looks better now. I just wish I was a better welder so I didn’t spend 10 minutes welding and 40 grinding. Here’s why I’m a car guy. That’s my son on the right. Just in the frame is the black Mustang hot wheel he’s racing and winning with. Who doesn’t love seeing their kids this happy!? Working on MyRideisMe.com combines what I love most. Cars and my family. Spending time with both is pure gold! Mix in buddies and their rides, and we’re all good. 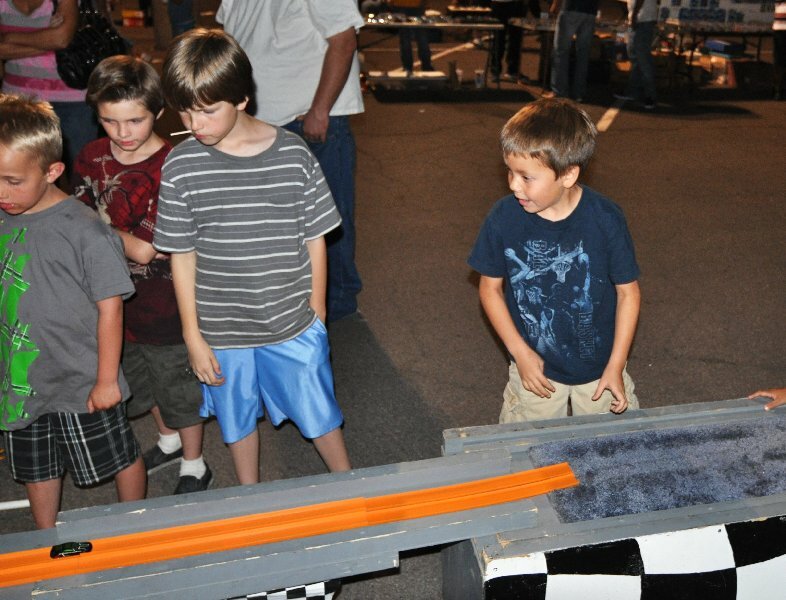 These hot wheels races are every Friday night at Gilbert and Baseline in Gilbert, AZ. Click here for more car show information. It was $5 for 3 races and 5 cars. Not bad! I’m off to publish some pinstriping pictures, then finish up our weekly newsletter, then work on the new look for MyRideisMe.com. Here’s hoping in all that, I don’t forget to look like this once in a while. 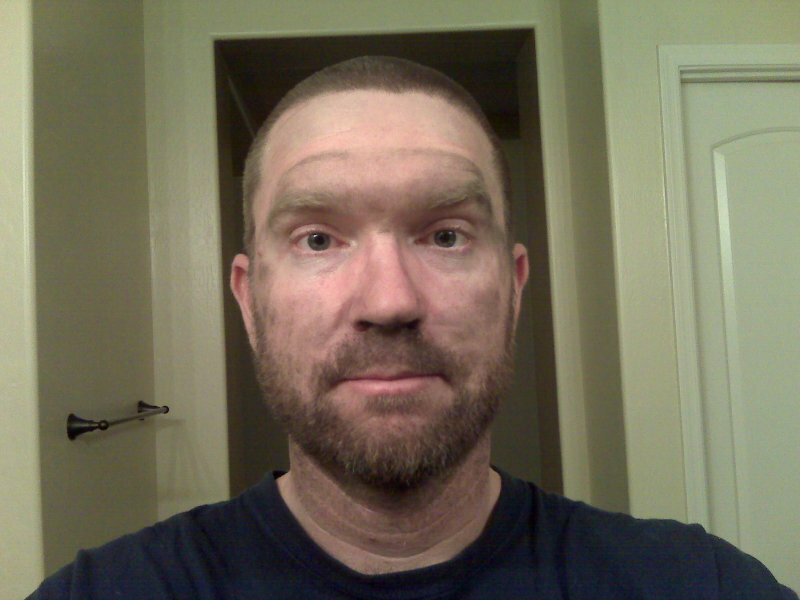 Get dirty working on your hot rod: Be a car guy. Then tell us about it. If I spend to much time away from my projects, make sure to let me know. There’s already enough non-car guys-car-websites out there! That was a cool post my man! Mustang hotwheels ftw! Sweet!